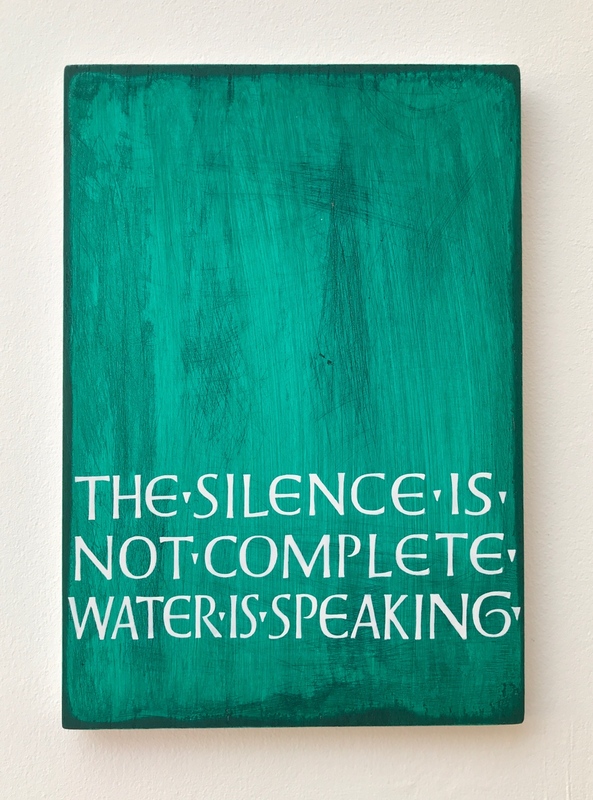 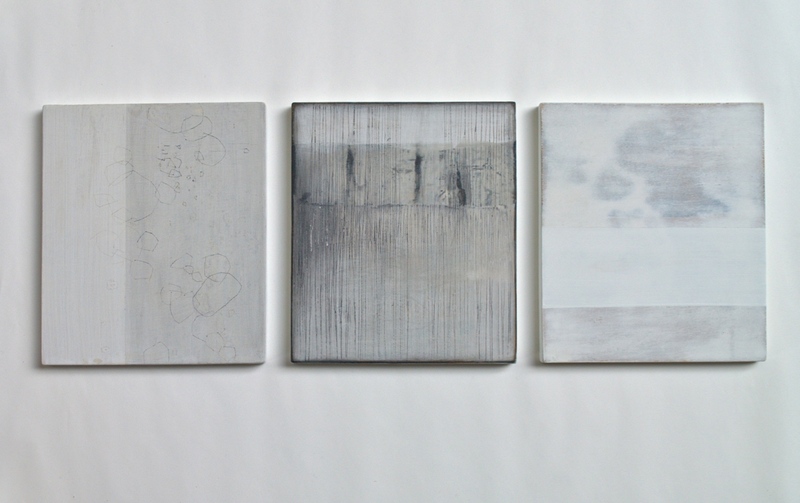 Born and educated in Glasgow, Susie has degrees from the University of St Andrews and the Courtauld Institute of Art. 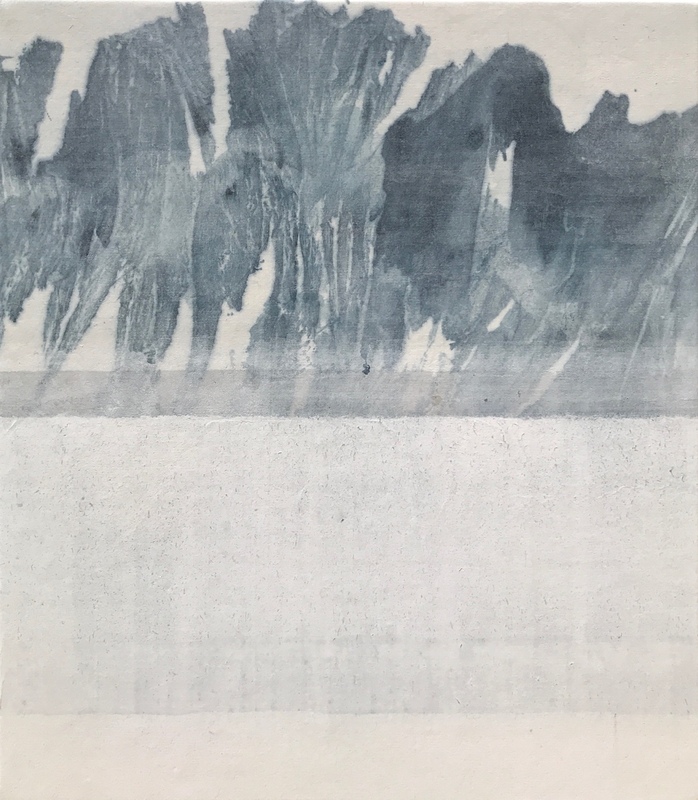 Her interest in calligraphy and painting grew out of an editorial career where she specialised in books on Chinese art and archaeology. 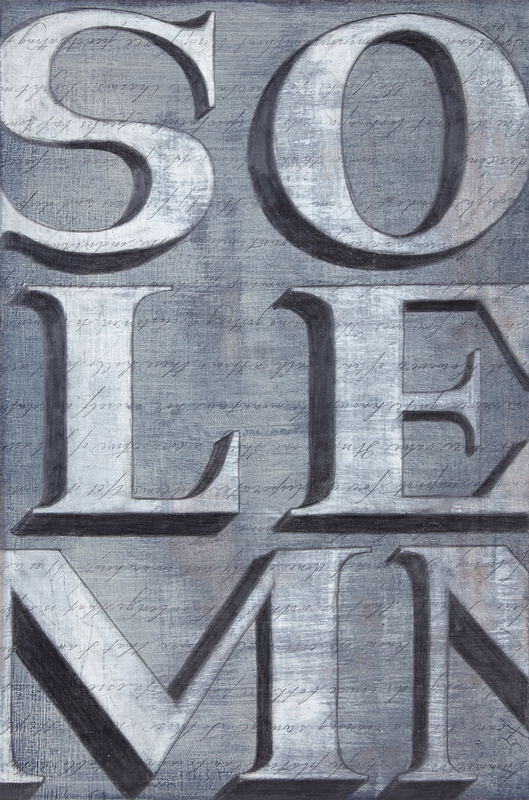 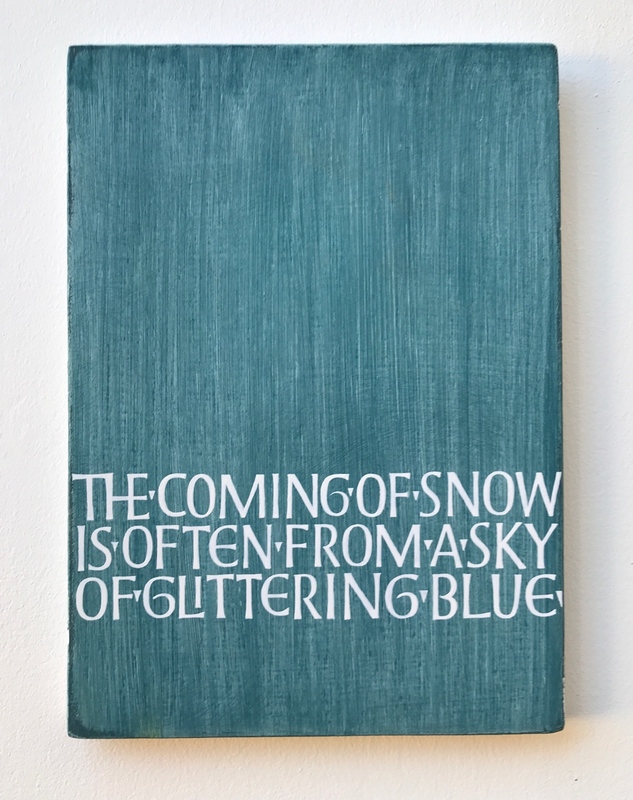 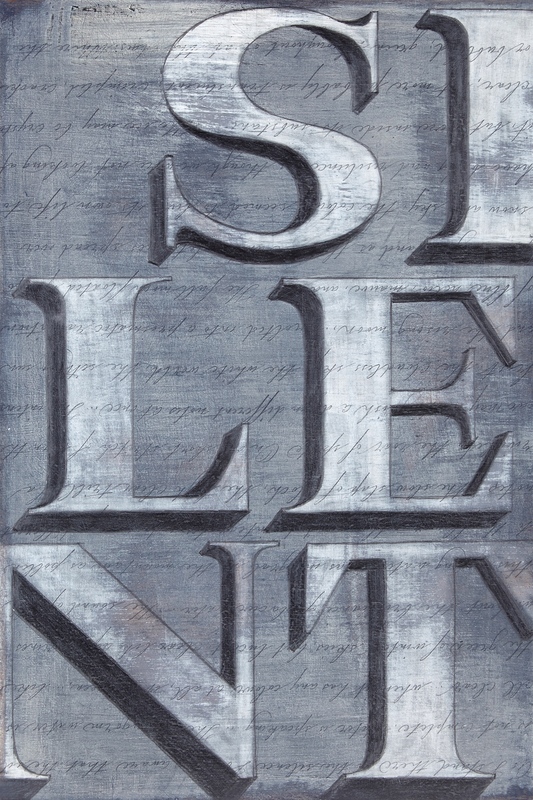 A Fellow of the Society of Scribes and Illuminators, Susie works freelance in Edinburgh and has a longstanding involvement with a painters’ group run by Paul Keir. 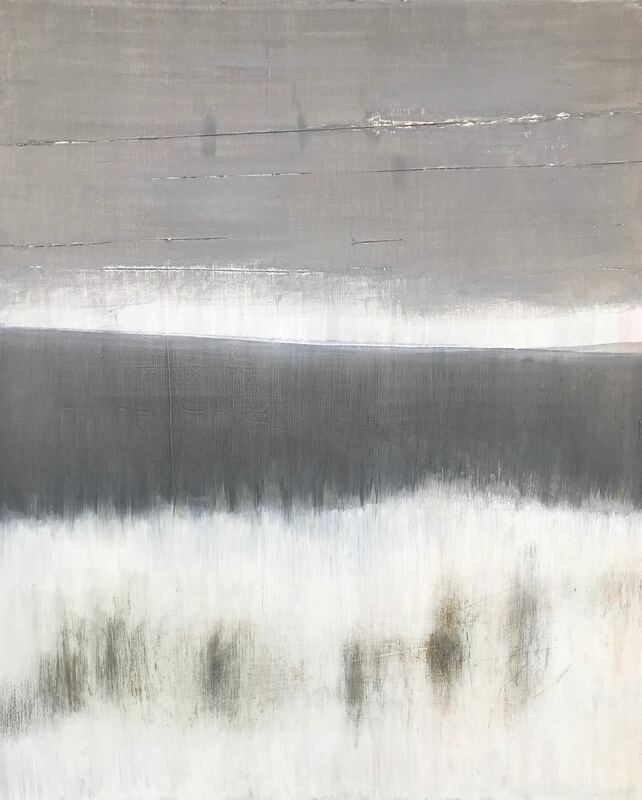 She recently shared the prestigious new W Gordon Smith Award for Painting at OPEN 2018 in the Royal Scottish Academy in Edinburgh. 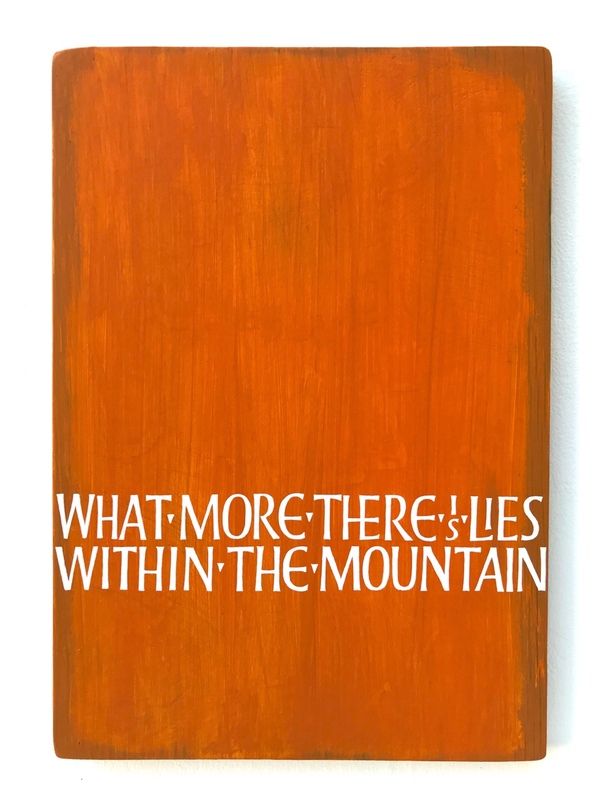 Through painting and lettering Susie invites us to experience the ‘total mountain’. 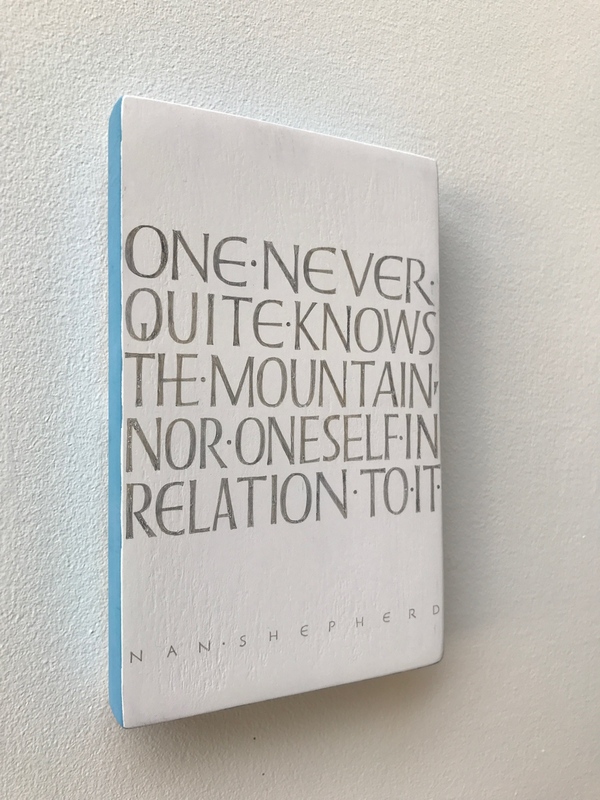 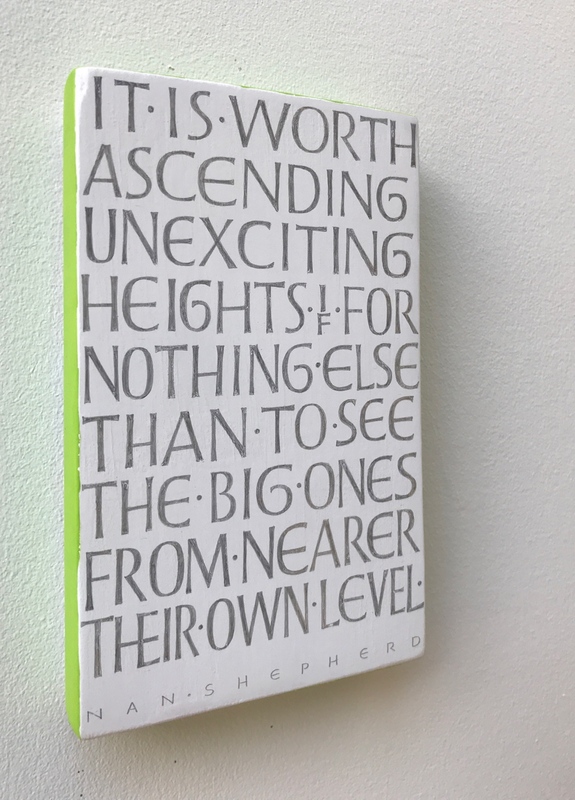 In one of Susie’s favourite books, The Living Mountain, Nan Shepherd encourages us to look not only at, but also into, the mountain, to appreciate its every aspect. 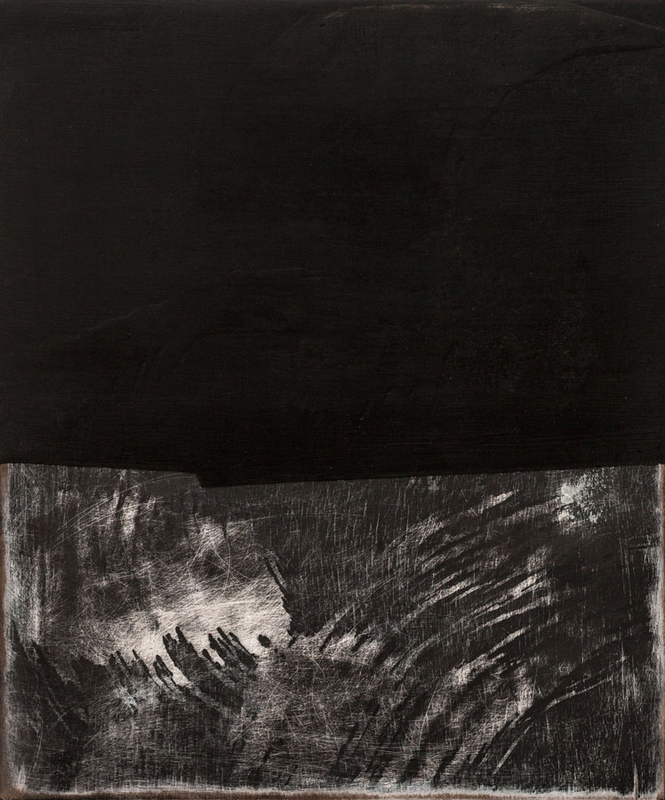 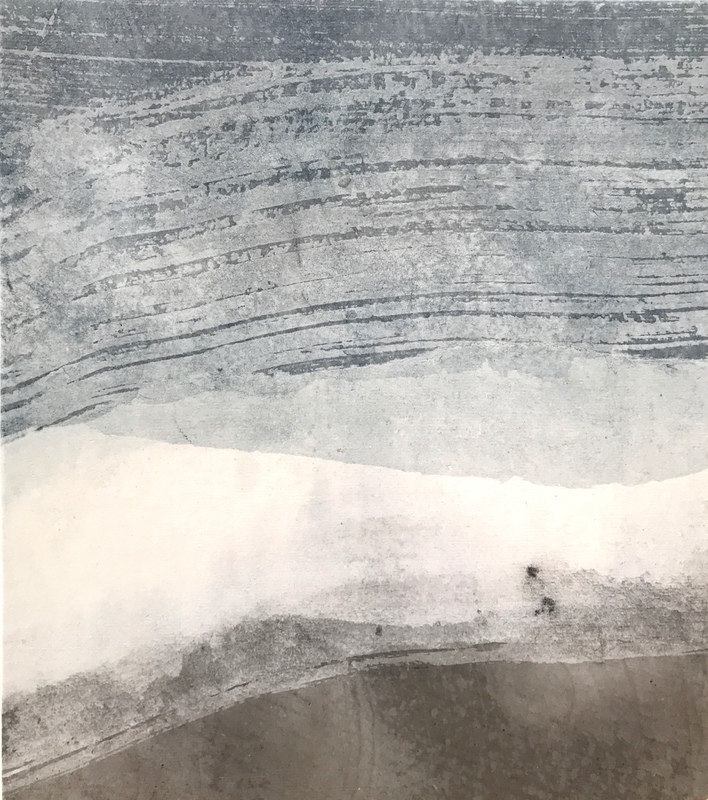 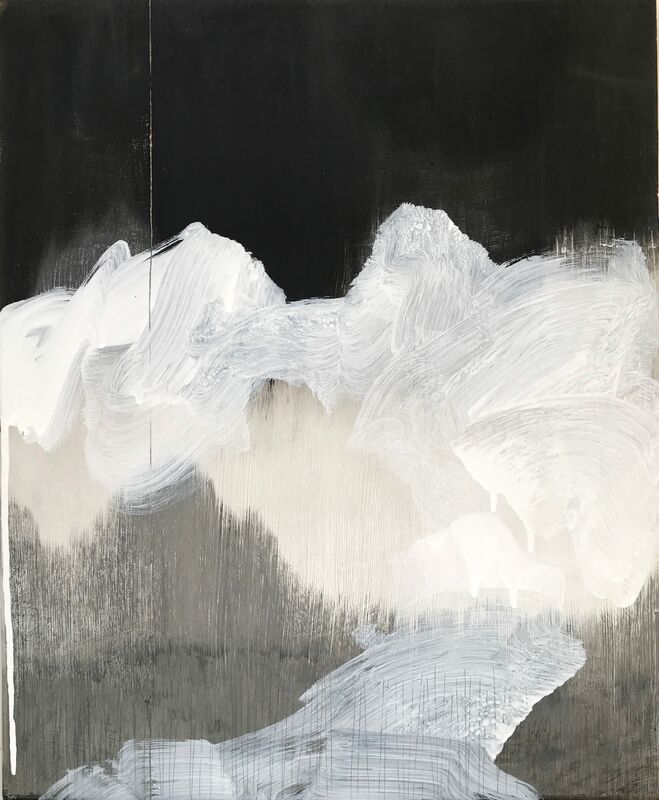 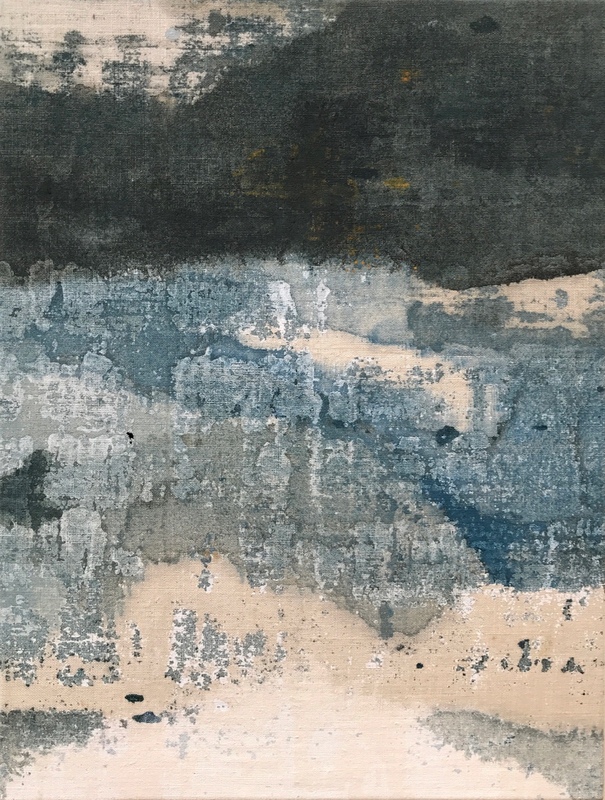 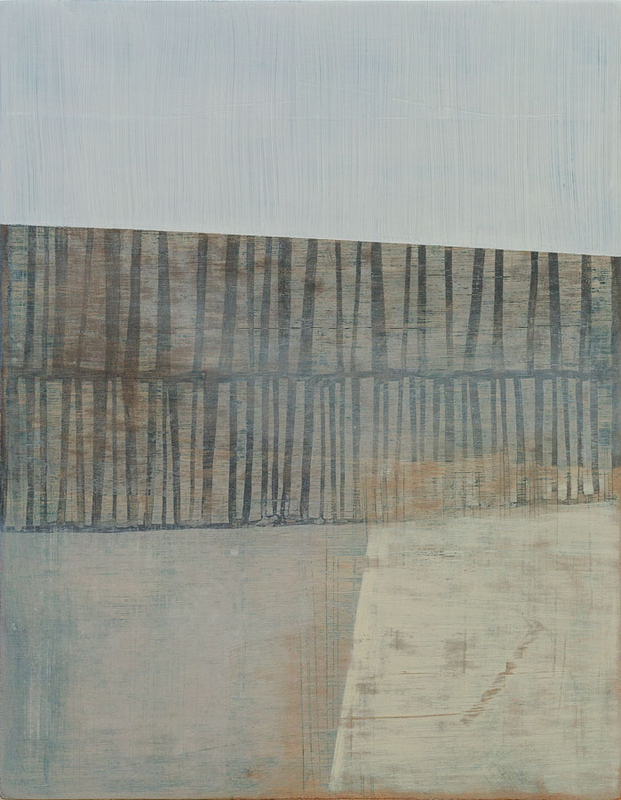 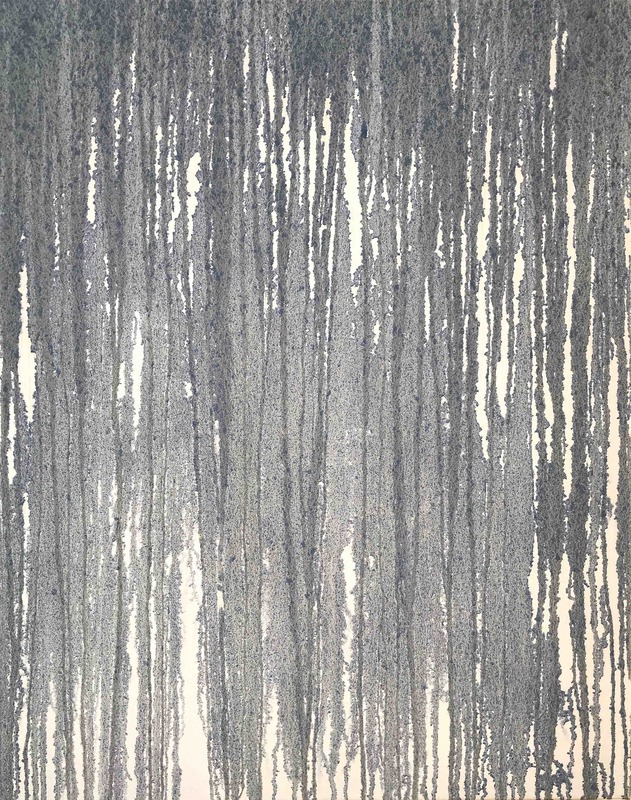 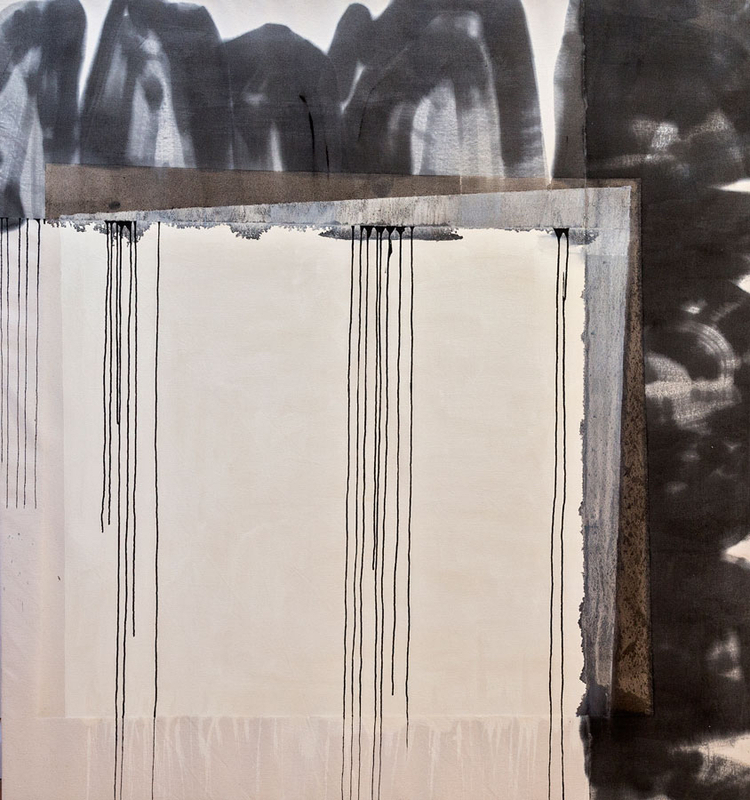 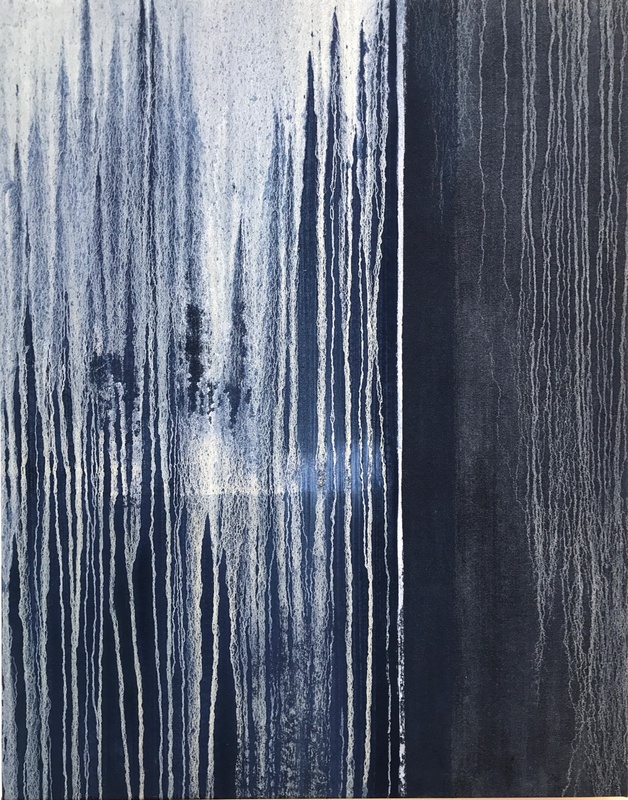 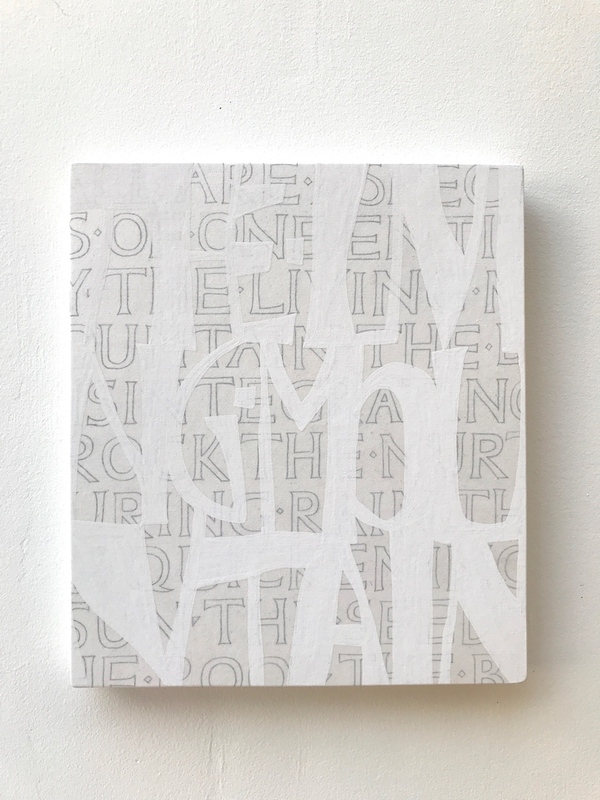 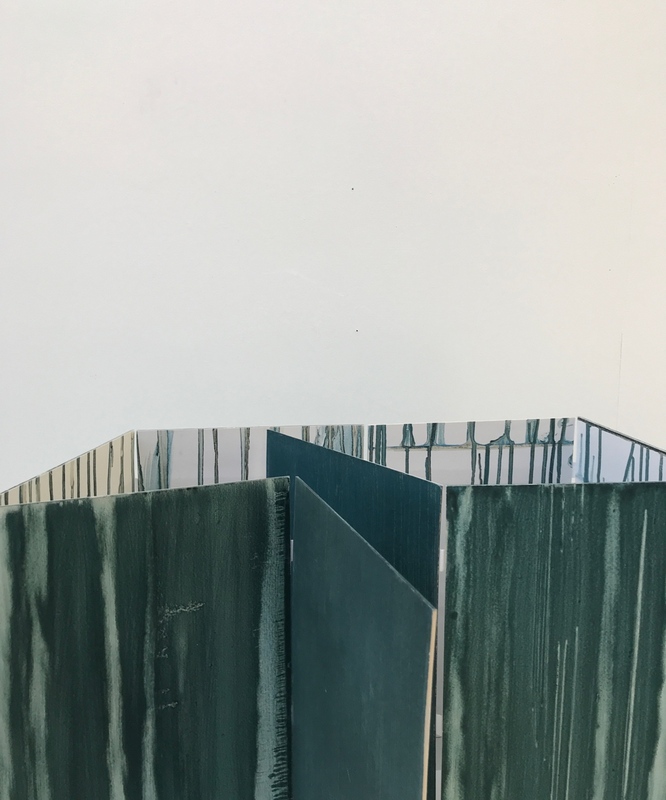 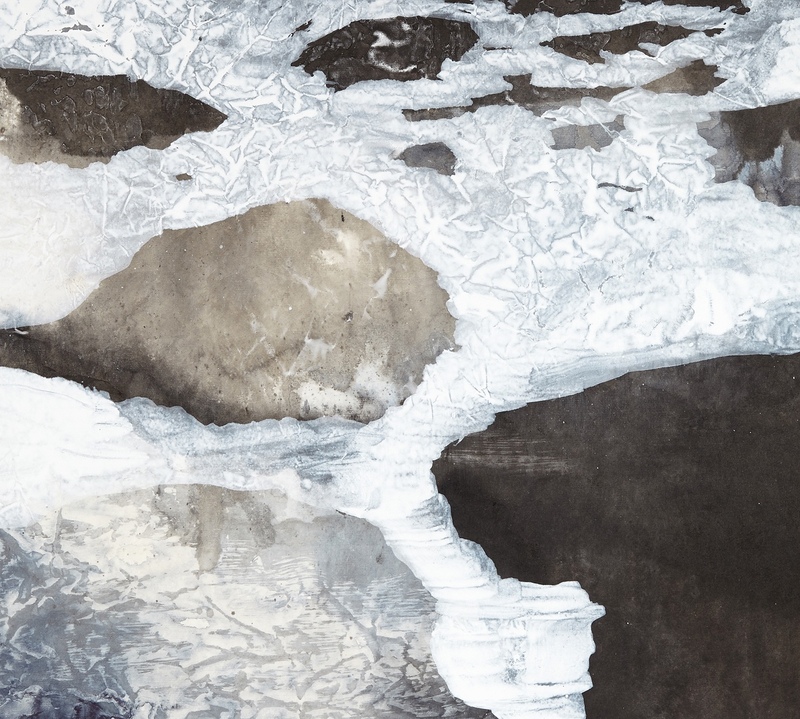 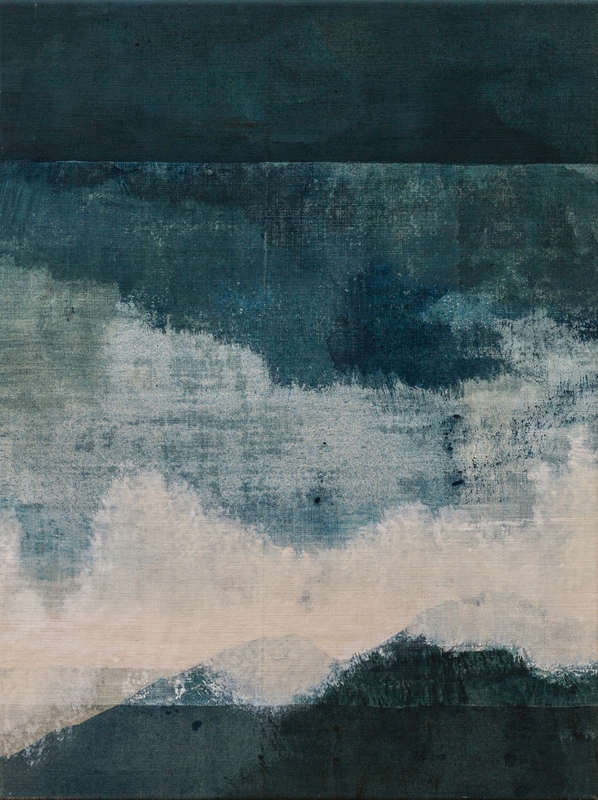 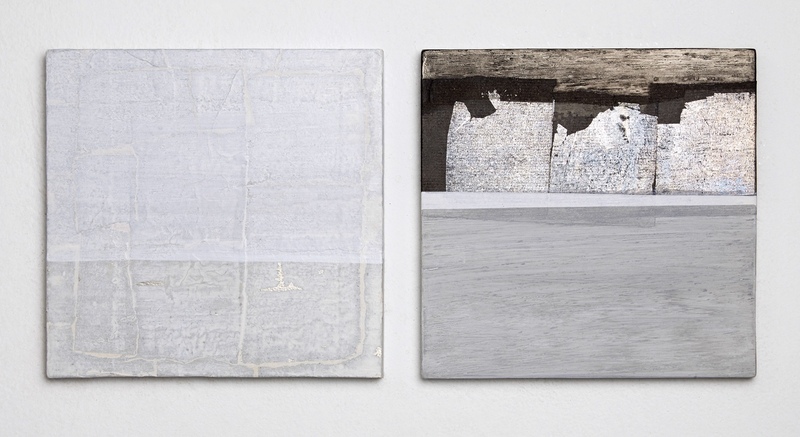 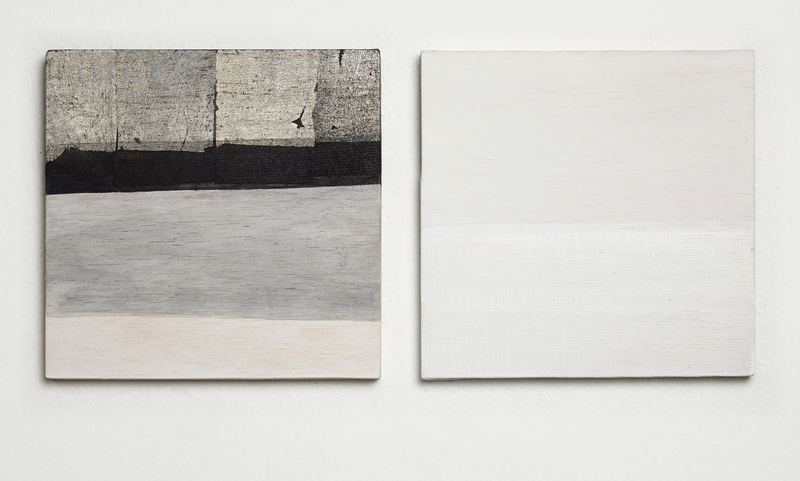 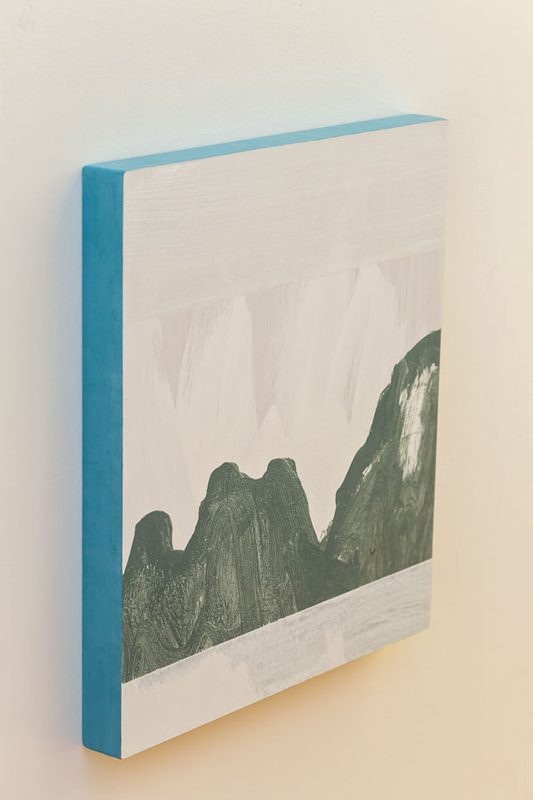 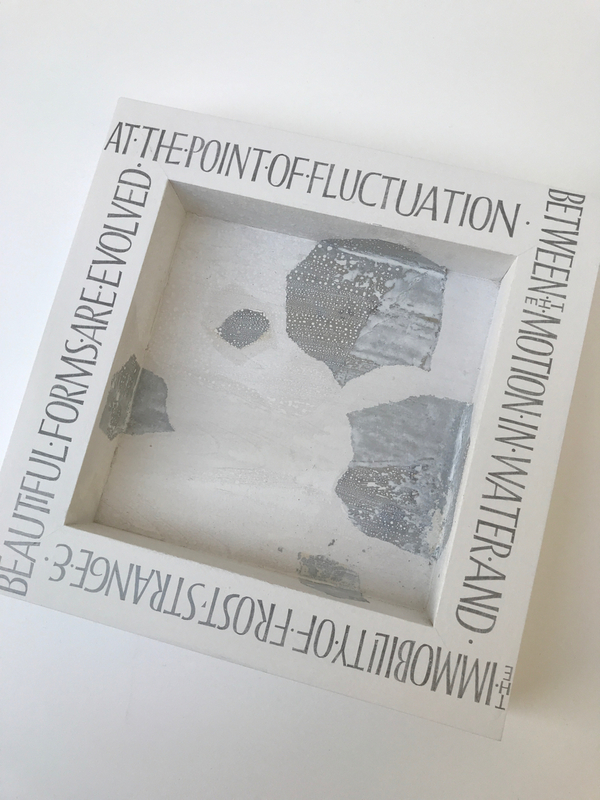 This idea reverberates with Susie and informs her work: diaphanous layers and geological strata sit side by side with small tablets painted with lines from The Living Mountain, distilling a connection with the book. 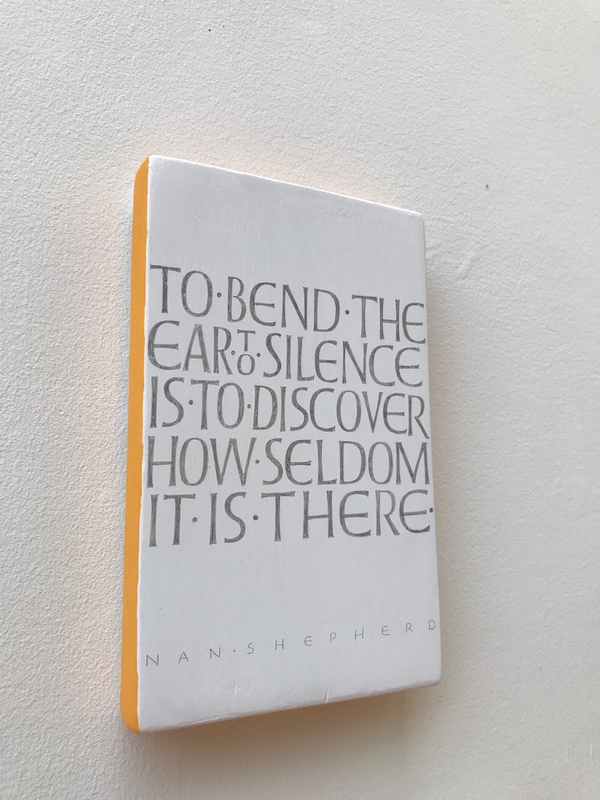 Susie also has a serendipitous personal connection to Nan Shepherd: they both appear on the new RBS polymer five pound note: Nan is the face of the note and Susie’s secretary hand calligraphy is on the back. 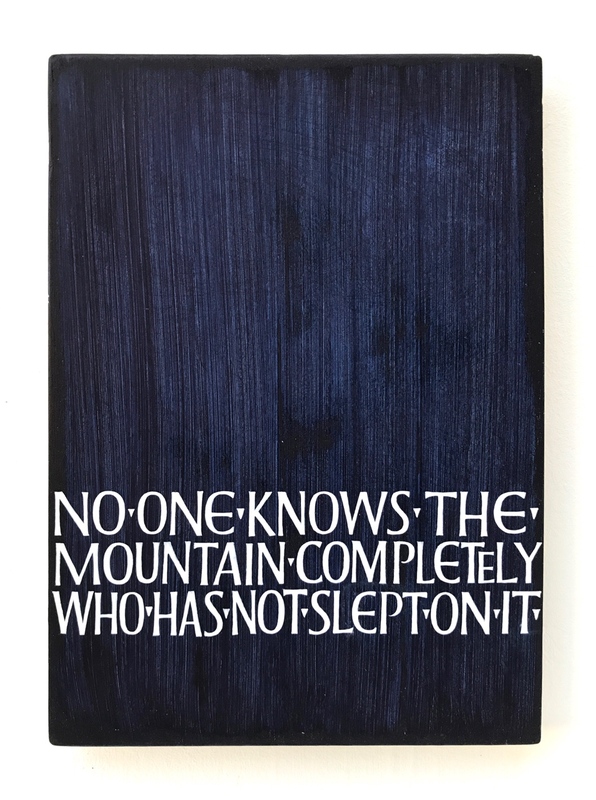 Susie is currently making a large handwritten and illustrated version of The Living Mountain.